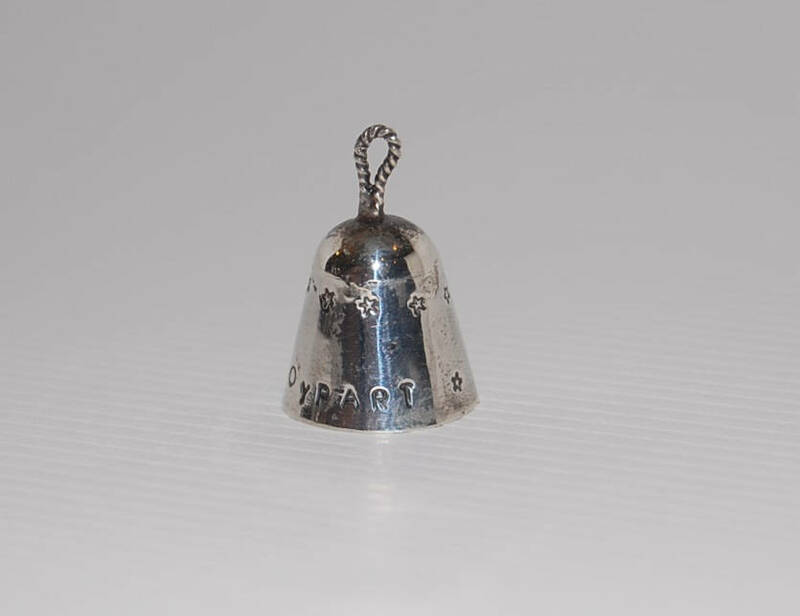 Every Chastity Bell is slightly different, but they are all about 17mm tall with a diameter (at the base) of about 16.5mm. Generally the handle at the top is about 7mm tall for an overall height of 24mm. Any time the chastity device moves there is an audible, musical, ringing. No unauthorized pleasure may be stolen from a Keyholder during the night. A Keyholder can enjoy listening to her boy's struggles with nighttime & unauthorized erections, as well as just enjoying the way he is forced to announce his presence in every room in the house. 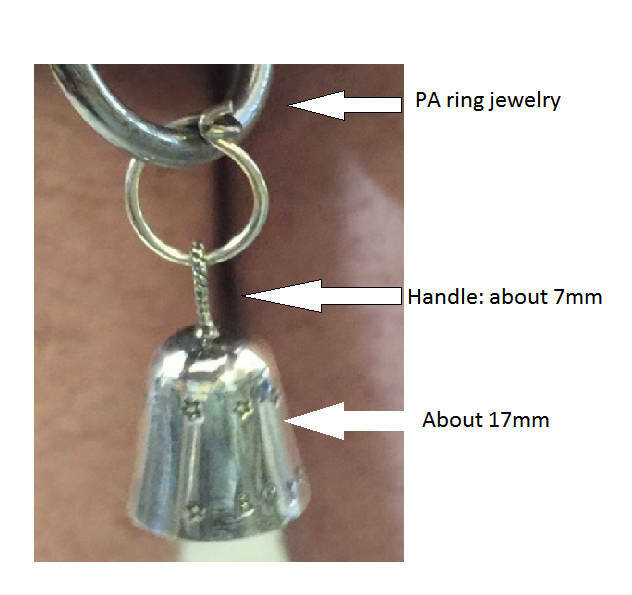 Be sure to let me know if you're interested in a clasp to connect your Chastity Bell to PA jewelry. There's an extremely tight close-up example of such a setup in the pictures (It's mine.) You can also make your own. The best solution is the one that works for you. 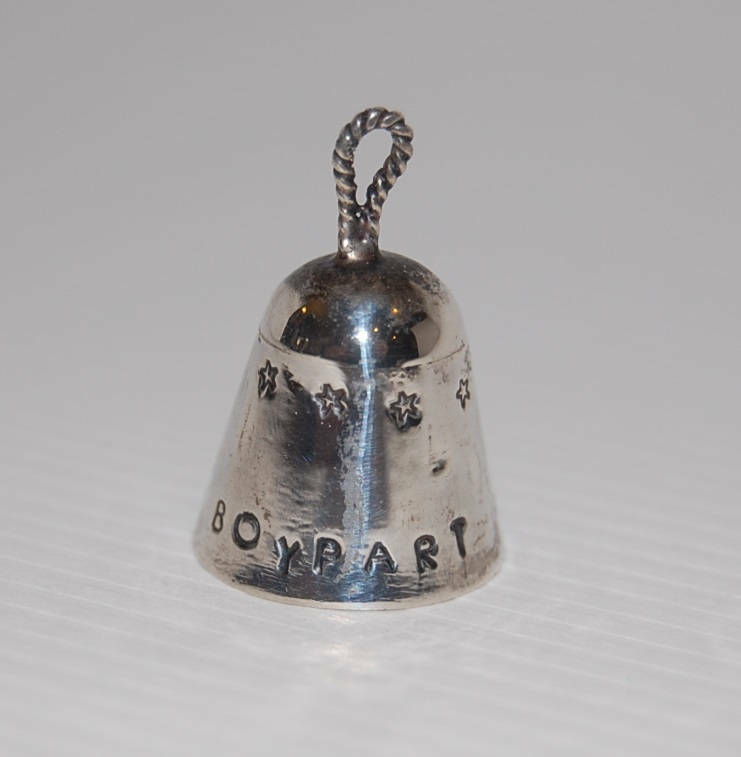 Emboss masculine names on your Chastity Bell such as "Mary Sue", "Kim's boy", or "Peaches", My favorite recently was a bell embossed with "Mom's"; that boy's ownership was being transferred**. Keyholder's or Owner's names always make great choices. As a sub I can promise you that being marked with your KH's name is a genuine pleasure. And at play parties, you'll enjoy watching your boy squirm when you pull out a flashlight to facilitate close inspections. Also great for commemorating significant dates such as "Locktober 2018" or "Don't Open 'Till Xmas 2018 / Valentine's Day 2018 / Hell Freezes Over", etc. Question: Does the bell rust? Answer: I get this question a lot. While a Chastity Bell isn't really envisioned as a 24/7 wear item, you never have to worry about immersion causing rust. The bell is made of sterling silver. It *can* develop tarnish but that's easily dealt with. Silver cannot rust. *During checkout select "Request Custom Order" and enter the text you'd like stamped. I'll confirm your text via email. You can choose from 3mm or 1.6mm characters, & certain symbols are available on request, although they may add 1 or 2 days to the fabrication time. If you'd like a different texture, or different style handle, rope, etc., just let me know in the "Request Custom Order" box during checkout. ** Details were changed/obscured to protect the guilty.